Opening Hours: 9am - 5pm, 7 Days a week. Please Note: Due to council imposed restrictions, we are unable to provide any ease-of-access features such as step-free access or disabled toilet facilities at this location. Download our current menus here. Please note that these online menus are offered as a guide. Some items may change, and selections may differ depending on availability. For more information please call the branch on 0141 353 2959. 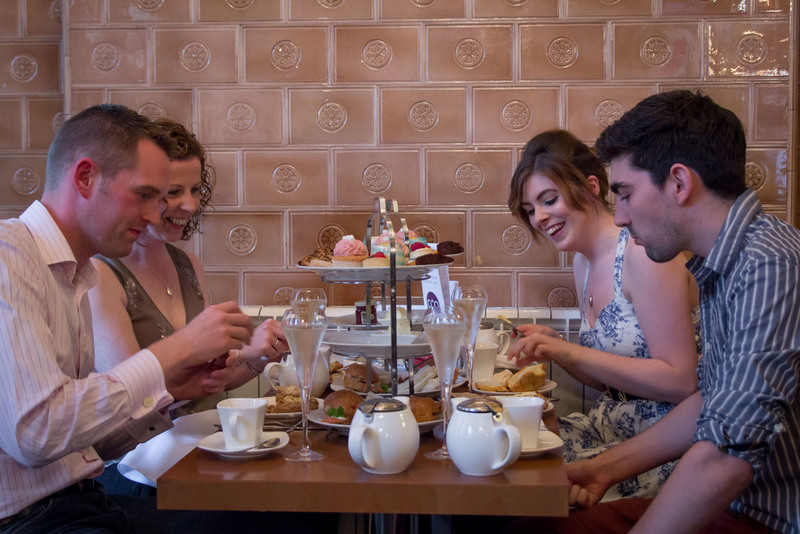 Vegetarian or Gluten Free Afternoon Tea Menus are available by clicking the button above. Scroll to page 3 for Vegetarian, or page 5 for Gluten Free versions of the menu. For any more specific requirements, please contact the branch directly. Please note that our Children's Afternoon Tea menu is not served as a stand alone item nor is it intended to cater to kids parties. This menu is available for children who are joining their parents in their Afternoon Tea Experience. Only available when ordered alongside at least one adult's Afternoon Tea experience. Under 11s only. You'll find us on 71 Renfield Street. That's on the corner of West Regent and Renfield Street in the City Centre. We are opposite the former Odeon Cinema. A short walk from both Queen Street and Central Station rail links, as well as Buchanan Street bus station.